French Country Landscape Painting by Pierre Eugene Chauvet. Rustic Landscape Oil Painting. Provencal Decor. 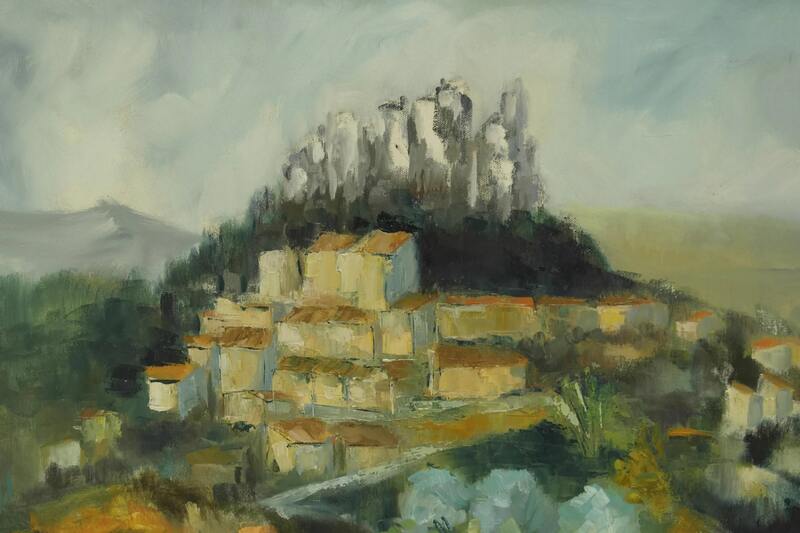 A large French landscape painting by artist Pierre Eugene Chauvet (1921 - 2004). 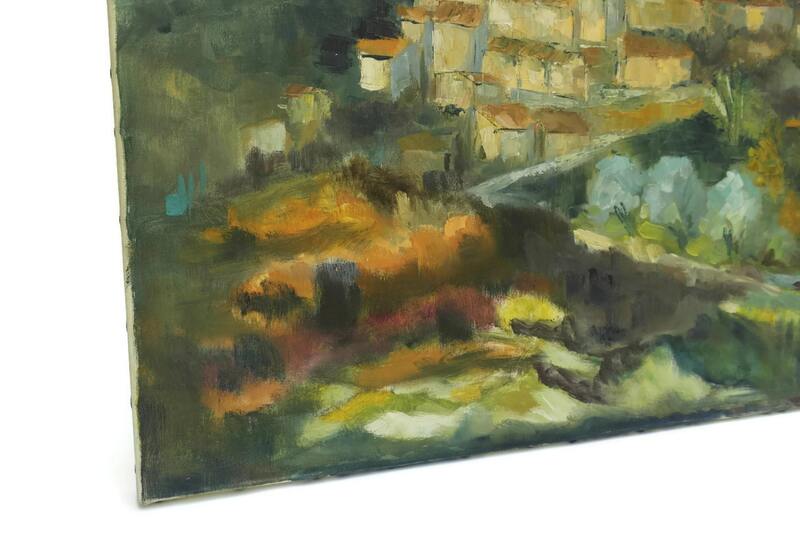 It features a view of a hilltop village in Provence with traditional country architecture. 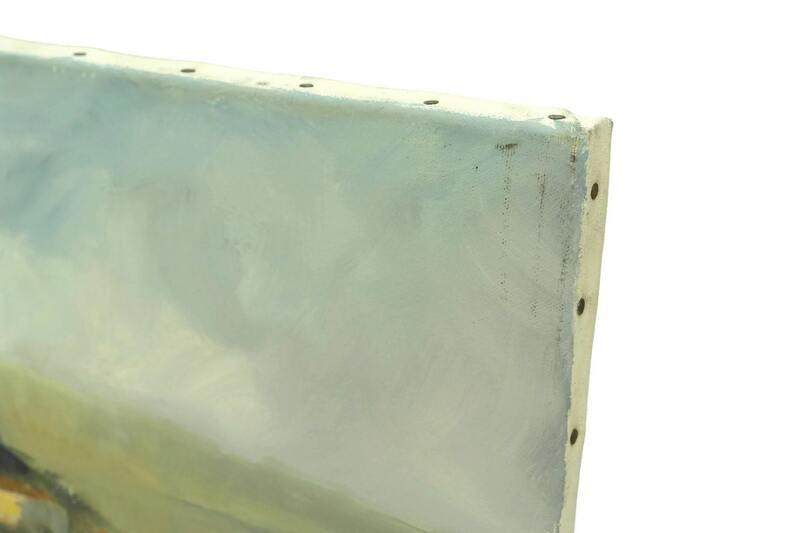 It has been painted in oil on canvas with a vibrant palette of colours and bold brush strokes. 29" wide x 21" high. (74cm x 53cm). 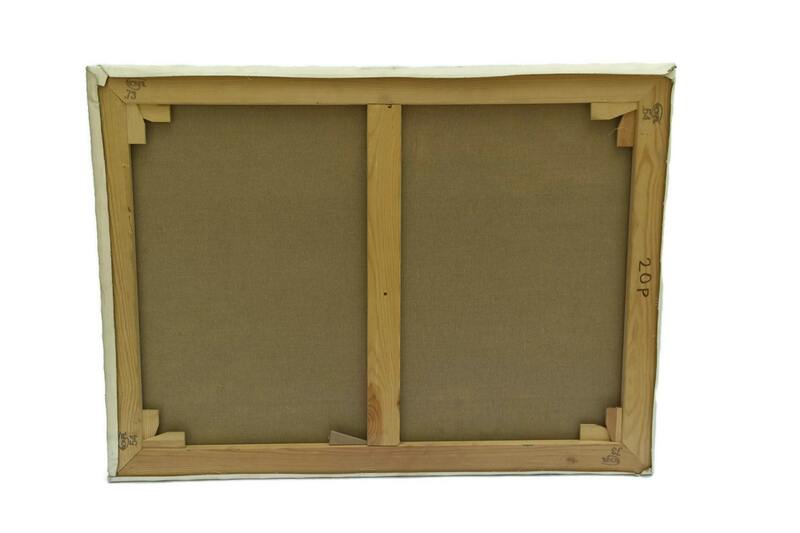 CONDITION: The oil painting is in very good condition. Hanging hardware is not included. 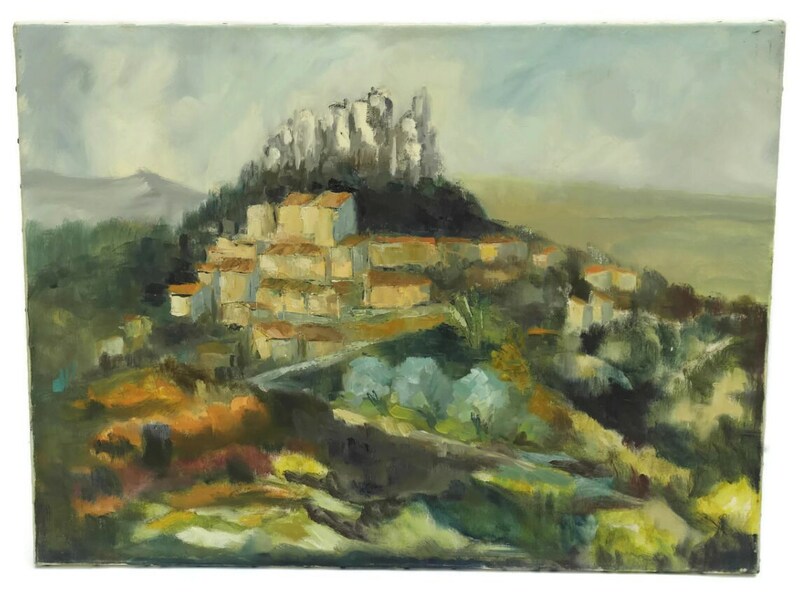 Item: French Country Landscape Painting by Pierre Eugene Chauvet. Rustic Landscape Oil Painting. Provencal Decor.